If your into your Super Cubs then Honda have launched a site dedicated to what is one of the worlds most ridden two wheeled machines. Celebrating 50 years of Super Cub production and its contribution to mobility worldwide, Honda has launched the Super Cub site featuring the philosophy, detailed history, and current facts of the little motorcycle that made Honda what it is today. The problem with 50cc scooters is that they tend to be bland and well, a bit boring. Something that riders with only a car license (in some states) would ride. They really don't shout "sport". The R50X from TGB redefines the 50cc scooter, declaring itself as a premium sports scooter without the insane price tag that other sports scooters carry. At $2790 plus on road costs, you'll get a sports scooter at the asking price of many entry level 50cc scooters. It might sound a lot if you are comparing the R50X against a 125cc scooter on price alone, but that is where the similarities end. At first glance, its sharp lines show its intentions to other road users, looking how a "sports" scooter should look. A modern vertical layout of the high output halogen headlights keeps the look within the original designed lines. The sports inspired exhaust shows that there were no short cuts taken on design just to save a few bucks. On the headlight, the output is brilliant. On both high and low beam, the rider has more light to work with than a lot of the 125-150cc scooters on the market. The high beam has a significant spread to ensure not only the road ahead is well lit, but the edges of the road are also covered so the rider can see in advance, domestic or wild life, preparing to make the mad, suicidal dash across the road. Fit and finish is on par with its European competitors. All panels fit nicely and don't squeak or groan under load. Drilled metal foot boards give the rider extra grip in inclement weather or if you are working the R50X hard on the down hill. There is a keyed access hole to the spark plug and battery making basic maintenance a lot easier by saving you from having to dismantle half of the scooter. Handling of the R50X is brilliant with a balanced frame, tuned telescoping forks at the front and an adjustable, tuned single spring/shock setup on the rear. 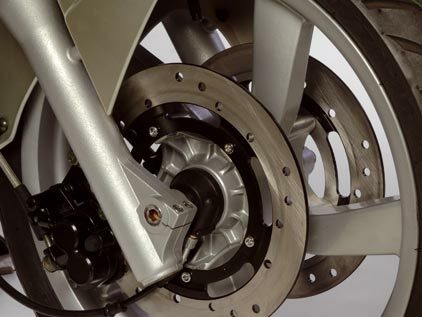 Weight bias is set in the traditional motorcycle forward position, assisting with a more direct feeling in the steering, enabling quicker entry speed into corners and giving the rider more confidence. Even two-up on the scooter does not adversely affect the handling of the R50X, something that scooters costing thousands of dollars more still have issues with. Assisting with the handling of the R50X is a set of alloy 13 inch wheels, wrapped in 130/60R13 Maxxis sports rubber. The braking adds to the handling and is performed using a single hydraulic disc setup on the front and rear. Even though the brakes felt a bit "woody" when new, after 500km, they really start to bed in and had no problems hauling up a maximum loaded R50X on a 5 cent piece. These brakes are literally "eye popping". A steel braided hose to the rear brake ensures that they never feel spongy, even under heavy use on long tight down hill runs. Performance out of the 49cc 2-stroke engine is modest, compared to other hyper 50's on the market. It is an air-cooled, oil injected unit, producing 3.5ps (2.57kW) at 7,500rpm. It's how it's used and put to the back wheel that makes the difference, though the 95kg dry weight of the R50X does give it a slight handicap. The final drive gearing, mated with ideally weighted rollers, lets the scooter achieve its [real] maximum governed speed of 53km/h (62km/h indicated) in just under 8 seconds. It certainly has more in the performance tank after the 8,500rpm ignition limiter. Starting the engine is either by electric or kick starter. A disappointment is that the battery is a bit on the cheap side, doesn't have much of a capacity and as the fancy digital dash causes a minute amount of discharge when the R50X is stored away, can cause starting to be troublesome after extended periods of non-use. However, if you are using the R50X day in, day out, you will not have a problem. Seating is comfortable for two, with the pillion having access to fold out foot pegs and a rear grab handle. Under seat storage can easily fit a large open face designer helmet. Also under the seat is access to a 12 volt socket to charge an iPod or phone while on the go. Fuel and 2-stroke oil tanks are accessed from under the seat with the 2-stroke oil tank holding 1.1 litres of 2-stroke oil, good for about 1000km of riding between refills. The 6.7 litre fuel tank access is via a twist cap and has drain holes surrounding the filler to take away excess fuel in the event of overfilling, preventing the fuel from filling up the under seat storage. It is a very nice touch and has saved the contents of my shopping from being spoiled by overfilling at the local servo. The dash is well laid out, with the standard feature being the large racing tachometer in the centre of the dash. Other displays include a large, easy to read speedometer, 5 bar fuel gauge, clock with date function and an odometer with trip meter. It is a very comprehensive dash, making some larger scooters look, underdone. Switch gear and buttons all have a solid feel about them and are easy to use. The only issue that I have is that the speedo indicated 14% over on actual road speed (measured using GPS) with the test R50X. At least there will be no surprises in the mail after doing the local commute through 40km/h school zones. The TGB R50X is a brilliant scooter and really has nothing I can find to fault in this value packed premium sports scooter. It handles like a dream, performs moderately well and is backed by a 3 year unlimited kilometre warranty. I am so impressed, that I have laid down my own hard earned cash and bought one myself. Here's a brief history of one thirty-something woman's entry into the scooter world. I always hated being on the back of motorbikes and never even contemplated getting one, especially at my ripe old age. But attitudes can change, even over thirty. It all began with a friend telling me about her scooter. Hubby and I had two cars and only ever used one of them on weekends. We were using public transport to get to work and had become fed up with being squished into over-crowded trains and having our faces in other people's armpits for the entire journey. So I suggested to hubby, the ex-motorbike owner, that we sell car number two and buy a scooter each. The response was quite lukewarm so I planted the seed and let it germinate for a while. I dropped comments about my friend and her scooter – running costs, ease of parking, style etc. - and sent links to articles about new scooters on the market. Eventually the seed germinated and I dragged hubby into a scooter dealer for a “quick look”. We sold the car that afternoon after signing up for a pair of 50cc Bolwell Jolies, and haven't looked back since. The Jolies were a great entry to the scooter world, and mine was used for my licence courses and tests. We were soon getting to work in half the time, saving money, parking on footpaths and finding any excuse (coffee at Lygon St, a cruise to Williamstown) to go for a ride on weekends. We got involved with the Melbourne Scooter Connection and met for breakfast and rides once a month. Soon we were starting to feel the limits of the 50cc scooters as we wanted to get into some weekend cruising involving 100km/hr roads. 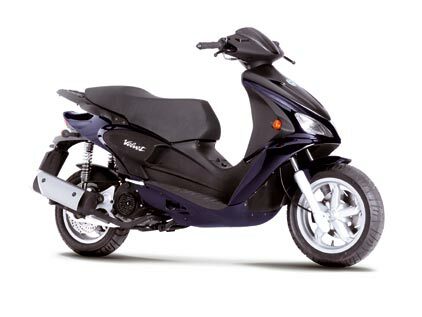 Next step was to trade up to 150cc scooters – mine a Bug Espresso and hubby's a Bolwell Gmax. These opened up the freeways and Dandenong ranges to us and we were ending our weekends with huge smiles after long Sunday rides. I was very grateful to my friend who'd initially got me enthused about scooters and I became an advocate to anyone who'd listen. Another friend had pillioned with my hubby a few times when we went out for dinner, and she soon started to get interested. I planted the seed again with information about models that may suit her needs (most research done by hubby, who by now was also a convert) and took her to a dealer for a “quick look”. Success soon followed with her purchase of a 125cc scooter. I'm sure that our support, information and enthusiasm helped her feel more confident about diving into unknown territory. A year later she has also got rid of her car and loves the freedom the scooter provides. A few months ago hubby and I moved from Melbourne to the country. Now I love scooting around our little town which is dominated by V8 utes and the odd Harley. People here are not very familiar with scooters and give it a good looking over. I love pulling up outside the shop I need when the cars are banked up waiting for a parking spot, popping it on the stand, putting the helmet under the seat and hopping into the shop; or returning to the scooter, getting the helmet out from under the seat, putting my shopping in and scooting off home. I'm hoping that it may inspire a few of the locals to investigate the scooter scene so I can continue to spread the scooter vibe far and wide. I've already notched up a couple of converts. Australians are invited to embrace the numerous benefits that come with owning and riding a scooter at the inaugural Australian Scooter Festival (ASF) on the Gold Coast. Two-wheel transport is fast becoming recognised as an efficient and cost-effective solution for regular roadgoers, with significantly reduced journey times, registration and fuel costs sitting high on the list of advantages. To be held at the Gold Coast Convention and Exhibition Centre from February 20-22 2009, the ASF will showcase the nation’s most comprehensive range of scooter manufacturers and models under one roof, making it easier than ever for the first-time rider or devout enthusiast to compare features and cost. A liveable, vibrant and rapidly growing-region, the Gold Coast has embraced the use of scooters, and is reaping the benefits of improved traffic flow and the increased availability of public parking. Exhibiting local and international manufacturers include Honda, Suzuki, Aprilia, Vespa, Yamaha, Sachs, TGB, SCP, Benelli, Gilera, Piaggio, Hyosung, MotoVert and Bug, with more to be confirmed as the event grows closer. The lineup includes entry-level 50cc to luxury 500 and 600cc scooters, and everything in between. Mark Petersen of Exhibitions and Trade Fairs said the event was created to cater for a growing market of scooter enthusiasts and the range of quality manufacturers. “We feel the Gold Coast is the perfect place to introduce the first-ever Australian Scooter Festival – it’s a lifestyle that is actively embraced by tourists and locals alike,” said Petersen. “The city is expanding at a rapid rate and more and more people are recognising the benefits associated with riding a scooter to work or on the weekend,” he said. Petersen said he was enjoying the savings of scooter transport on the Gold Coast after switching from four to to wheels on weekdays. The event will also feature scooter test rides, demonstrations, a range of apparel and accessories displays and entry discounts for club members. Organisers are encouraging interstate visitors to contact one of the many scooter hire outlets on the Gold Coast and spend a weekend exploring all the Festival, and the picturesque region, has to offer. Festivities will kick off a week prior, with the Le Minz 24 Hour Scooterthon set to make it’s highly-anticipated return to the Gold Coast Parklands venue. Designed as a endurance test for showroom-spec scooters, the event gauges the reliability and efficiency of leading models over a gruelling period of 24 hours – the longest event of its kind in the world. All scooters competing in the event will be on show at the Australian Scooter Festival, with winners’ trophies to be presented on the QBE Insurance stage. The ASF is held in conjunction with the first-run Australian Motorcycle Expo Gold Coast and Australian Personal WaterCraft (PWC) Show. Tickets, which include entry to all three showcase events, start from just $13, with the Family Pass (2 adults and 2 children) offering unbeatable value at just $44. Visit www.australianmotorcycleexpo.com.au for further information on the event. We have had a fantastic response with bookings for the Boreen Point Scooter Rally. All Cabins/Bunks have been booked out and almost all the onsite camping is gone too. If you still have yet to book, drop me an email or give me a call and I will book you in. This is going to be big! I have got a Rally Registration Form attached that everyone who is attending will need to fill out. It will be a form per person unless you are bringing your family along. Please fill it out and send it to me via post/fax/email or drop it off in person. The event is prepaid only and payment will be required prior to event closing date on the 31st of October. Last year it was cash only but we have sorted out a way to use EFTPOS/Credit Cards now. Once payment is made then you booking will be confirmed. If you have any questions, give me a call on (07) 3856 3900. An instant hit on the Australian Scooter Scene. Since its introduction last month the Benelli Pepe range has been receiving rave reviews from all that have come across its path. Scooter Dealers, Press and Public alike have all been impressed by the handsome Italian. Helped by its large wheels and solid chassis dynamics the Benelli Pepe fights well above its weight with a punchy 50 cc 2 stroke engine and handling that inspires confidence on the road. Available in two versions the Pepe "Old Style" and the Pepe LX its hard to believe that this scooter starts at just $2190 + ORC. Cheeky and Classic in its style if your in the market for a 50 cc scooter then the Benelli Pepe is a must to see and test ride. Recently Channel Nine's Getaway Program used the Benelli Pepe "Old Style" to showcase and promote its new show "The Strip" thats set on the Gold Coast. We have a short run from the episode below. 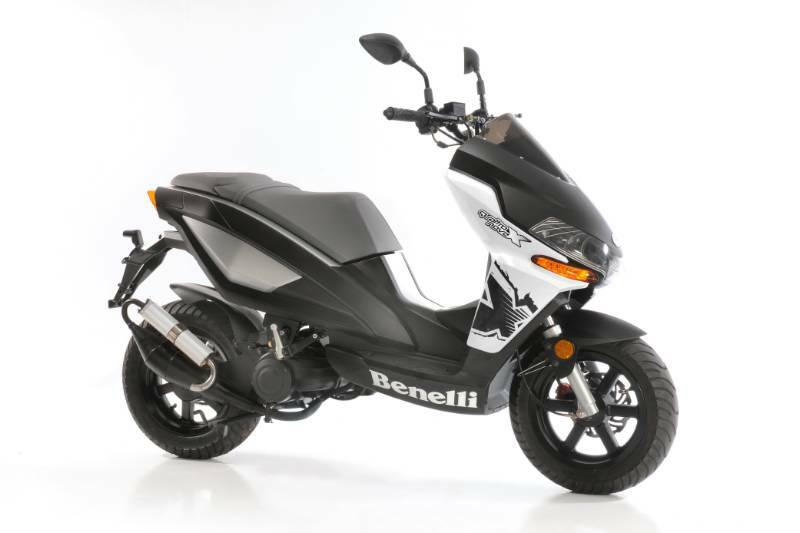 Expect to see the Benelli Scooter range grow in 2009 as we hear the news of another new arrival. Following on from the recent launch of Benelli Scooters onto the Australian Scooter Scene, the Australian Importer Stoney Creek Powersports will be adding another model to the line up in the new year. Due late in the first quarter the Cafe Nero is a large wheeled 250 cc scooter that will possess some pretty nice features at a price that will be very affordable. Colours are yet to be announced but in Europe the Cafe Nero is available in Black, Silver and White. This current range of Benelli Scooters includes the 50 cc Pepe range and the Velvet 125 but we are awaiting next month for the anticipated release of the crazy 49x which was turned from concept into reality. Recently we heard the Benelli Velvet in 2009 will be joining the Cafe Nero in the 250cc ranks and it will also run a fuel injected motor. Expect both models to be priced sharply in the vicinity of $5000 + ORC. Specially painted motorcycles and scooters used to promote upcoming Motorcycle and Scooter shows. The first in an industry-wide series of eye-opening custom painted motorcycles has hit the streets. The eye-catching Can-Am Spyder Roadster will be hard to miss as it cruises through Melbourne, Sydney and the Gold Coast, the host locations of Australia's three premier motorcycle showcase events. Sporting a metallic red, black and silver paintscheme with detailed illustrations, the three-wheel roadster is just one of the new promotional bikes set to spread the word about the Australian Motorcycle Expo Melbourne and Gold Coast and Sydney Motorcycle Show. Event Manager Mark Petersen of Exhibitions and Trade Fairs said there were a few more incredible motorcycles still to be unveiled at various locations across the East Coast. "Our Can-Am Spyder has been on the road for just a few weeks and the response from the public has been amazing - it's a unique bike to begin with but the custom paint scheme, by Mark Brown of Brown's Grafix, really sets it off," said Petersen. "We're less than two months away from the Australian Motorcycle Expo Melbourne and the Spyder will be seen on the streets of Melbourne leading up to the show, along with feature stands at the MotoGP, Sydney Motor Show and National 4x4 Show, Fishing Show and Outdoors Expo." "As well as being convenient and easy to park, the Spyder is very fuel efficient compared to a car. There is little wonder that so many people are turning to two, or in this case, three wheels, as a cheaper alternative with petrol prices and the general cost of living so high." 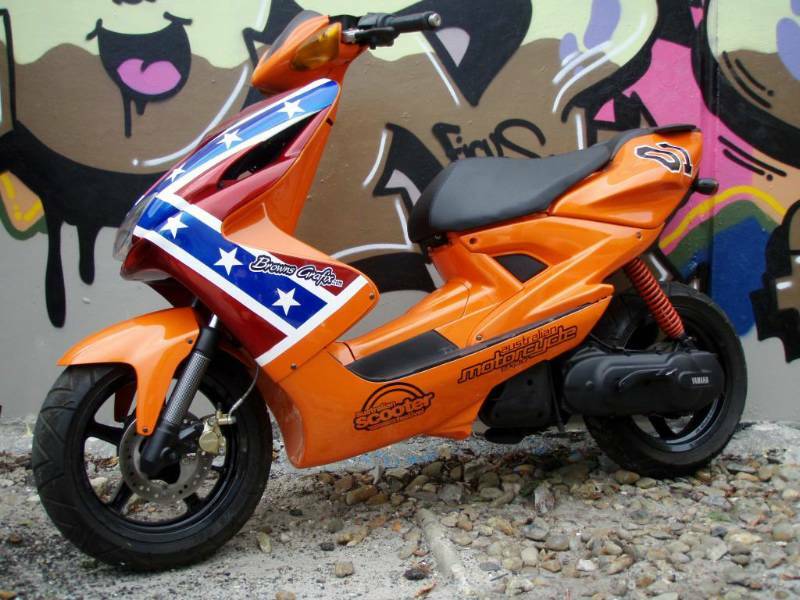 To promote the first ever Australian Scooter Festival on the Gold Coast, a special edition Yamaha Aerox 50 sporting a custom 'Dukes of Hazzard' paint scheme will also take to the streets. Organisers will pull the covers off two more incredible sports bikes at this year's MotoGP event at Phillip Island at the start of October. Visitors should head to the Australian Motorcycle Expo stand at the MotoGP Expo for a first look at the airbrushed moto masterpieces, and keep an eye out at coming industry events for even more exciting promotional machines. The Australian Motorcycle Expo Melbourne runs from Thursday October 30 to Sunday November 2 at the Melbourne Exhibition and Convention Centre, and will present the latest lineups from local and international motorcycle manufacturers as well as a host of products, accessories and services. The Sydney Motorcycle Show will follow soon after, from November 21 to 23 at Sydney Olympic Park. The inaugural Australian Motorcycle Expo Gold Coast roars into the Gold Coast Convention and Exhibition Centre from February 20-22 2009, incorporating the Australian Scooter Festival and the Australian Personal Watercraft (PWC) Show. Scoot Your Way to Freedom Honda Scooter Promotion Offers Free Fuel Honda Australia With fuel costs out of control, Honda’s latest promotion offers economical benefits that cannot be passed up. Honda’s various scooters offer an average fuel efficiency of around 50kms per litre, and now with any new model purchased from the full scooter range between now and 30 November, 2008, customers will receive a free scooter cover, heavy duty bike lock and $100 fuel card (while stocks last). Those who opt for a new Honda Today 50, Scoopy, Lead 100, @125, SH150i, Forza or Silver Wing can rest in the knowledge that their new ride will be safe, clean and secure with the giveaway pack. Customers who choose to finance will also be offered an additional $100 fuel card on top of the initial $100 bonus, meaning customers will ride for free for at least the first few months, depending on distance travelled! A Sydney newspaper reports on how we as scooter riders need to protect ourselves from the serious nature of riding a scooter. Scooters are being used as a headline grabber these days and the weekend press thought the need to remind all of us scooter riders that danger could be just around the corner. SYDNEY'S love affair with scooters has a price, say doctors and ambulance officers who are seeing a growing number of riders injured because they don't wear protective clothing or full-face helmets. There are more than 6200 scooters on NSW roads, including about 1870 registered last year alone, as motorists struggle to beat rising petrol prices and Sydney's congested traffic. But experts fear riders are not taking the dangers seriously. "When people buy a scooter, they are in love with the image promoted by advertisers, so you have plenty of young girls in short skirts and heels riding around the streets," the chairman of the Motorcycle Council of NSW, Guy Stanford, said. "Well, sorry, the crash statistics say it's all the same, whether you're on a scooter or a motorcycle. If you come off and you're not wearing protective gear, such as jackets with body armour, gloves, boots and eyewear, you can find yourself … inconvenienced for months." Or dead, says the Roads and Traffic Authority, which points out motorcycle riders are 16 to 20 times more likely to be killed in a road accident than a car occupant. Despite that, many scooter riders wear half-face helmets, which don't protect the chin and teeth and rarely come with visors to protect the eyes from common dangers, including insects and burning cigarettes thrown from cars. Only 51 per cent of riders wear leather boots, which can prevent fractured bones piercing the skin and infections from gravel and grease on the road. Only 38 per cent wear motorcycle pants. Mr Stanford, who believes half of all motorcycle injuries could be reduced or prevented if people wore protective clothing, said cheaper helmets, usually the half-face versions, were often heavier and put extra stress on the neck and spine in an accident, while riders who wore jackets without body armour were at risk of chipping bones in their elbows or vertebrae. The most common injuries from motorcycle falls or crashes included fractured skulls, bruising and bleeding on the brain, compound fractures of the leg and infections caused by gravel rash, but some injuries were particular to fashion-conscious female scooter riders, an emergency physician at St Vincent's Hospital, Fiona Chow, said yesterday. "We had someone recently who was wearing a scarf which got caught in the wheel of her scooter. She was OK, but if it had been tied differently around her neck, she may been strangulated," Dr Chow said. A spokeswoman for the NSW Ambulance Service said paramedics were seeing more injuries from riders wearing inappropriate footwear. Scooter HQ take on the Aprilia brand whilst The Scooter Shop in Launceston launches a new website. Stylish in its design The Scooter Shop website gives the user a regular rundown on information like contact details,products sold and the latest news on what's going on. A nice feature is the "upcoming ride events" area where you can follow a live Google map showing the route to be taken by all the riders. Scooter HQ on the Gold Coast now sell aprilia scooters. 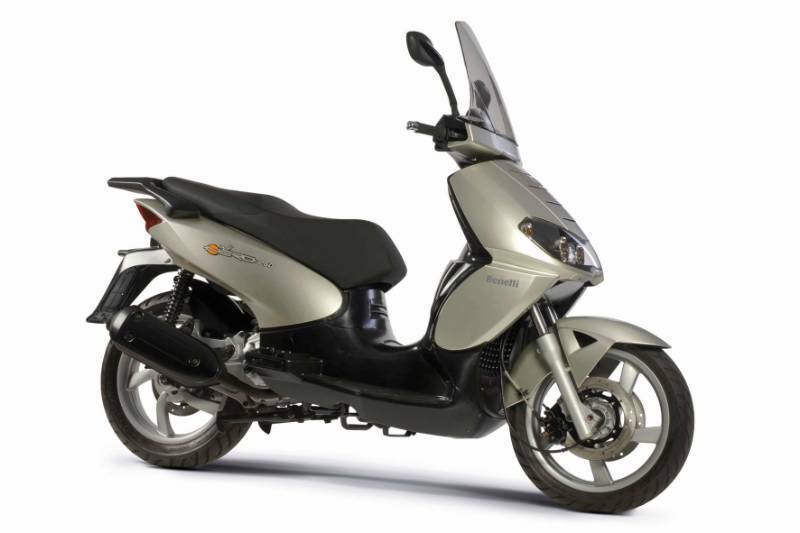 Long term dealers of Bolwell, Daelim and Vmoto, Scooter HQ have now entered the stable of the Italian manufacturer. Aslo stocking the sporting Derbi range HQ have a wide selection of scooters to suit many a taste. "Without doubt Aprilia are a top tier scooter manufacturer whose scooters are constantly setting new industry standards. Each model is highly regarded in its respective class and will complement our existing range of scooters perfectly." The NSW RTA has increased the cc capacity for automatic exemption from the Scooter License course. 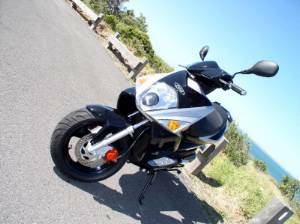 Effective immediately the NSW RTA has increased the capacity from 125cc to 160cc for exemption from the pre-provisional course for automatic motorcycles and scooters. Riders of scooters less than 160cc will still need to attend and pass the pre-learner course (7 hours held over 2 days) and the Motorcycle Operator Skills Test or MOST (1 hour). However they will not be required to attend the 6 hour pre-provisional course immediately prior to the MOST. 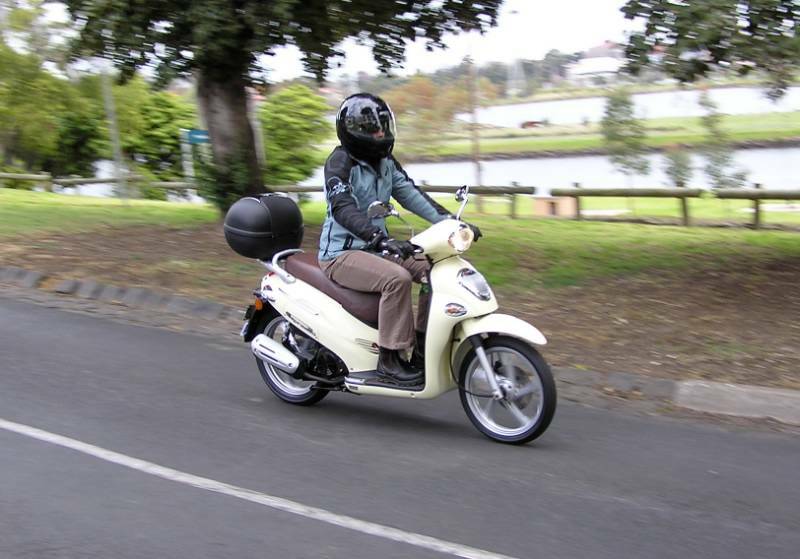 “With the increasing popularity of automatic “twist and go” scooters, and in particular 125/150cc capacity scooters in NSW, this is a positive change exempting riders of small scooters from the pre-provisional course which is heavily biased to helping riders of manual motorcycles master clutch control and gear changes” said Paul Nobbs from the Australia Scooter Federation. NSW scooter sales rose 15.4% in 08 versus 07 for the 6 month period to the end of June. Sales of 51cc to 160cc capacity scooters grew 23.1% to 2995 units in the same period.